OPSRRA, representing residents and ratepayers of Otter Point, Shirley and Jordan River, is conducting a clean-up along Otter Point Rd near King Rd on October 18, 9AM to 1PM. This area has long been a target of illegal dumping because of its relative isolation and handy pull-out spots. 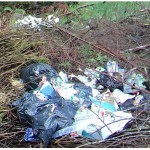 Anything from animal carcasses to television sets are strewn in the bushes along the road. OPSRRA received a grant from the CRD Community Clean-Up Assistance Program in April 2016. Some of this grant money was used then for a clean-up of locations in Shirley and Otter Point, with the much appreciated donation of labour and equipment by Mainroad South Island Contracting LP. The remainder of the Community Clean-Up grant will be used for the upcoming Otter Pt.Rd/King Rd. effort. OPSRRA has approval from JDFEA Regional Director Mike Hicks to access JDFEA Grant-In-Aid funding to cover cost overruns. 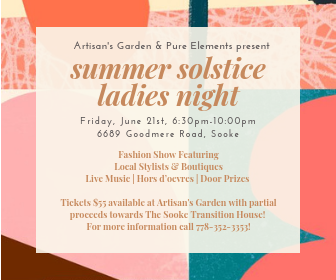 Sooke Disposal Ltd. has generously offered to assist with this event by providing dumpsters and the disposal of the garbage collected. As well, Mainroad will once again donate equipment and operators for removal of large items. Volunteers from OPSRRA and Juan de Fuca Community Trails Society will work on removing and sorting items for recyling and controlled disposal. Shirley Delicious Café and the Stick Café have donated goodies and coffee for the volunteers. Sooke Home Hardware has been very supportive by assisting with our purchase of necessary protective gloves for the job. Cleaning up of the areas where illegal dumping has occurred in our communities is the first step. OPSRRA, working with CRD Bylaw Enforcement has identified frequently targeted locations in Otter Point, Shirley and Jordan River and No Dumping signs have been posted. The maximum fine has been increased by the CRD to $10,000 as a deterrent. Signs have also been posted by CRD Bylaw Enforcement with the contact information for reporting illegal dumping. Raising awareness, educating the public, reporting violations and enforcement of regulations are the next steps to stop the problem of illegal dumping in the communities in which we live. 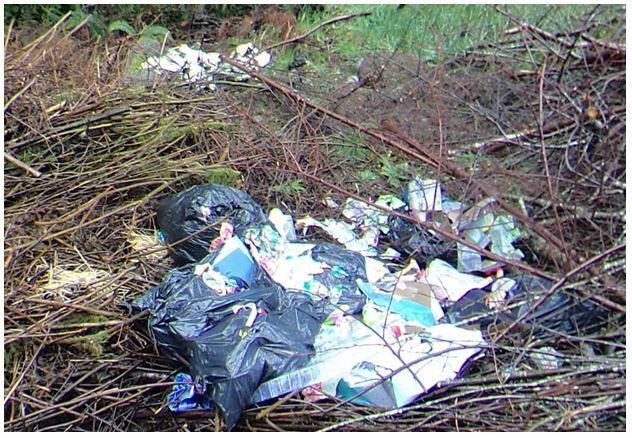 LETTER: Is shame enough to stop illegal dumping at Muir Creek? This dumping takes a special kind of stupid. A person who doesn’t lack for a vehicle or gas but is too cheap to pay the dump fee. All their lives people have been picking up for them one way or another. Good on those that do the right thing, even if it means enabling these socially inept morons, by doing what others have done for them all their lives, but a good kick in the rear would help more, and make me feel better. Great community event. It binds the like minds together in a positive gesture while highlighting the negative impacts of the miscreants to the wider public. Way to go OPSRRA and the volunteers. Dumping and littering is stupid. Good work with your “inside words”! Good luck with this project! I moved to Otter Point in the early ’90’s….and for the next 15 years my family and I Regularly picked up trash and junk left along the roadside and in the bush. From sofa’s to fridges to decapitated and pawless bear carcasses. The degree of human laziness, irresponsibility and lack of common sense is staggering.